Laser Skin Therapy is a more aggressive solution than a Chemical Peel alone. 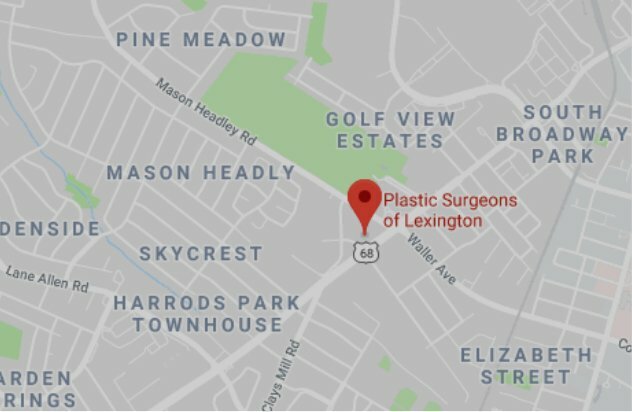 At Plastic Surgeons of Lexington, our Laser Skin Rejuvenation of choice is DOT Laser Therapy. DOT Laser Therapy is an advanced new laser that makes skin resurfacing faster, easier, and more effective. As a result, you will see a reduction in the appearance of wrinkles and acne scars and a more even skin tone and texture. During the procedure, a doctor will apply a pattern of tiny scanned pulses of laser energy to your skin. The DOT Therapy laser precisely creates thousands of microscopic holes (DOTs) in your skin, which induce immediate skin tightening and stimulate new collagen growth. In comparison to other lasers, the DOT Therapy Laser allows your skin to heal much more rapidly so you can get back to your normal routine. In most cases, you will see excellent results in as little as one session. However, someone with more severe wrinkling or scarring may benefit from receiving more than one treatment. Each treatment should be spaced about a month apart. After your initial procedure, your skin will be red (similar to a sunburn), and you may experience some peeling for about three or four days after the treatment. During your recovery period, you will apply hydrating lotion to keep your skin moist and to help it heal. You can typically resume wearing makeup after 3 days. Again, sometimes one Facial Rejuvenation treatment isn’t enough. Your Doctor can help you determine how many treatments you will need in order to achieve your desired results. In our next blog, we are talking about Botox and other fillers and the results you can expect from these treatments. Stay tuned!